Thick neoprene shoulder section with dimpled texture grips. Thick padded canvas shoulder section. 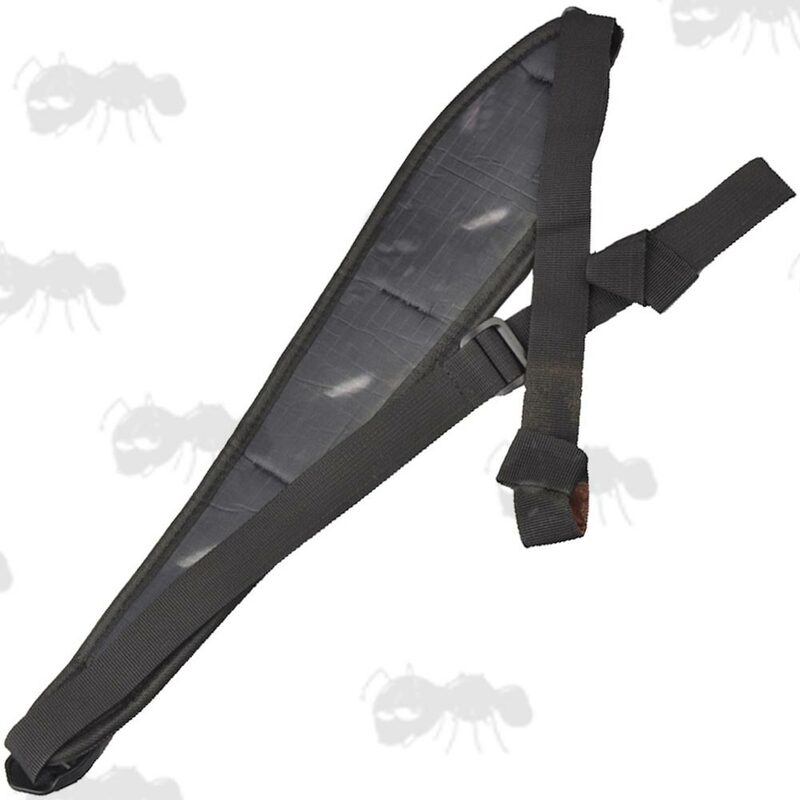 Two point fast fitting sling. 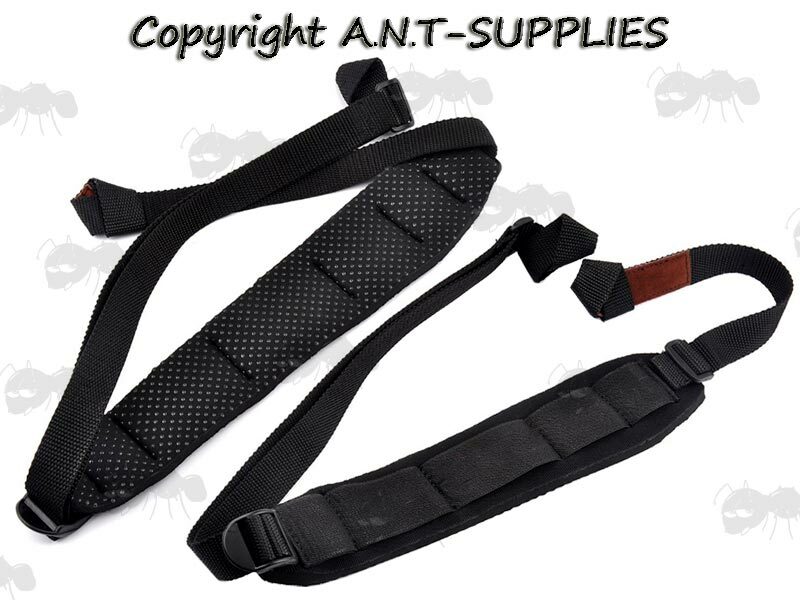 1 inch / 25mm wide webbing straps. The length adjusts from between 32 to 50 inches (82cm to 127cm). 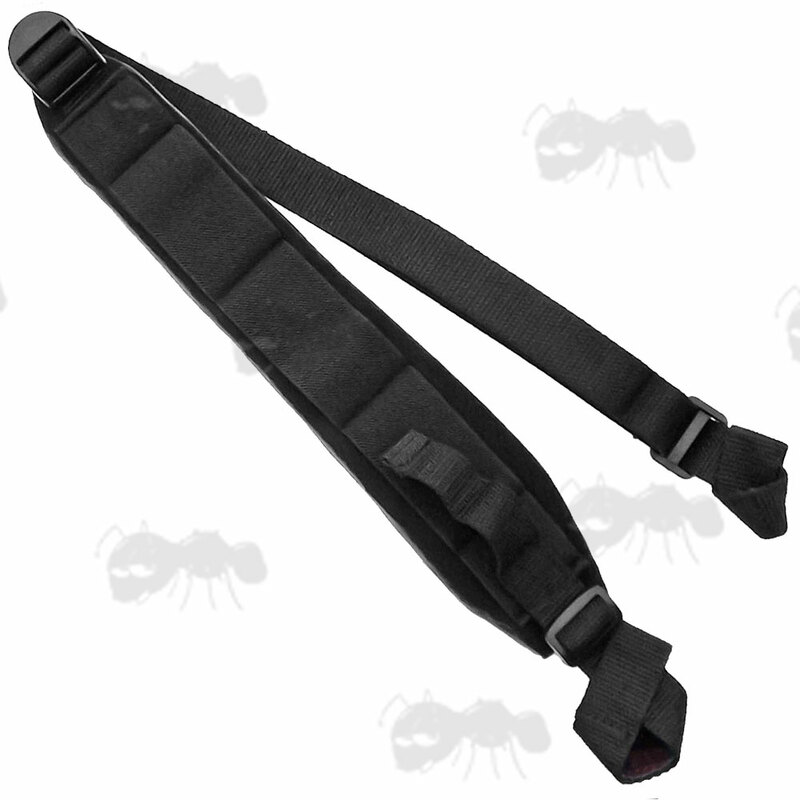 Cinches down on your guns barrel and stock, so no swivels or studs needed. The barrel loop fittings have padded section for improved grip and to avoid scratching. 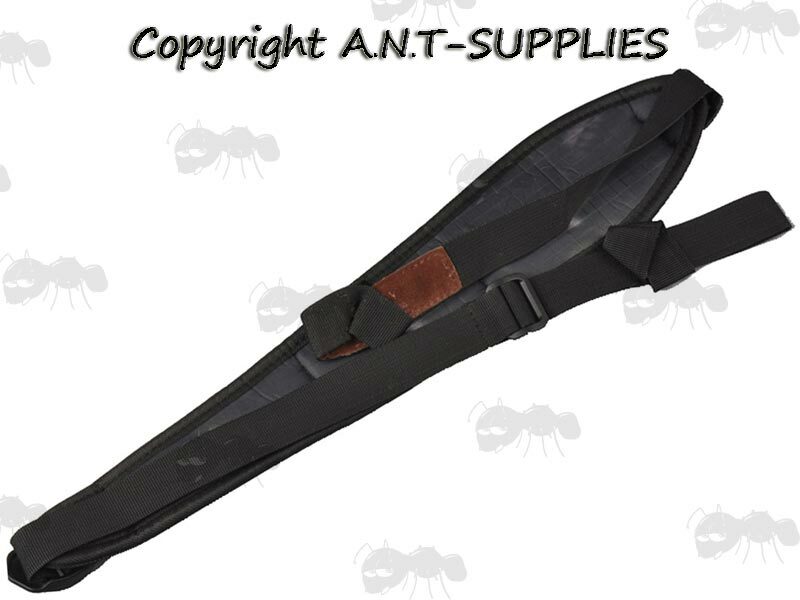 Also available ~ Universal fitting gun bipod.